Whether they are used to market another product or hand out on their own as a standalone marketing tool, Pirates Press is your place for stickers. We offer every kind of sticker you can imagine, at great prices, with quick turnaround! We offer a HUGE variety of stocks and type of adhesives, endless printing options, foil stamping, printing on the liner, a HUGE catalog of (standard) sizes and shapes and even custom shapes and sizes too! 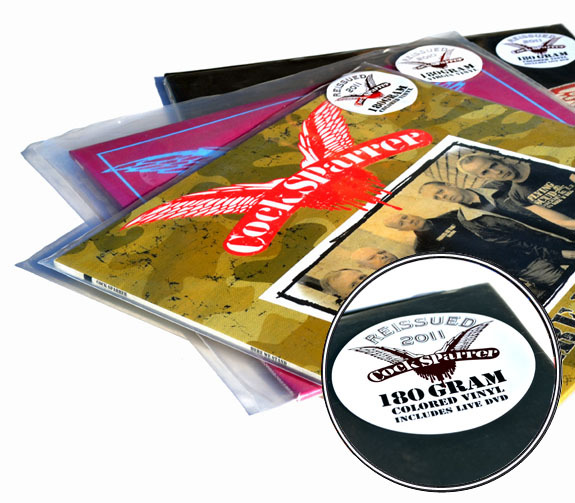 If you're looking to save money but still really want a sticker on your package we have these standard (pre-made) options to help highlight your COLORED VINYL // DIGITAL DOWNLOAD INCLUDED // 180 GRAM VINYL. CLICK FOR MORE INFO ON OUR STICKERS!